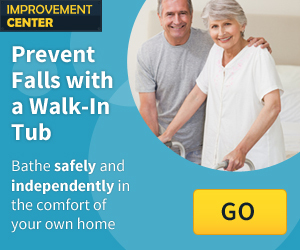 What do Home Care Providers in Kirkwood, MO offer? home health agencies. Homemaker Services are generally household tasks provided for the participant as an alternative to nursing facility care. Home Health Agencies provide primarily medically oriented treatment or supervision to individuals with an acute illness, or an exacerbation of a chronic or long term illness, which can be therapeutically managed at home. The care follows a written plan of treatment established and periodically reviewed by a physician. Home care can be a feasible option for seniors who would like to receive care services while remaining in their home. While receiving home care services seniors may choose from different service schedules to receive their care. A few of the schedules include daily, weekly, bi weekly and monthly visits. Other states may use similar terms to describe home care services such as custodial care, home helper services and companion care services. Click or see below to view a list of the Home Care Options in Kirkwood, MO that may fit you and your loved one’s needs. Home care aides and nurses can serve as companions for seniors receiving home care services. When a home care aide serves as a companion seniors may be engaged in activities such as arts and crafts, board games and social outings. All of these activities help facilitate the seniors social engagement skills. Kirkwood is a small suburb located in the St. Louis, MO metropolitan area. Other cities that are near Kirkwood include Webster Groves, Town and County, Twin Oaks and Valley Park, MO. The Kirkwood, MO area also hosts over 150 hospitals and medical complexes in the area for you and your loved ones connivence. While in the Kirkwood area there are also many points of interest such as visiting Kirkwood Park and Farmers Market and Art on the Vines. Kirkwood, MO and its surrounding areas will surely provide for you and your loved one.